The ExoMars program, a joint endeavor between ESA and the Russian space agency Roscosmos, is planned to launch it’s first phase later today at 08:30 GMT (09:30 CET). The primary goal of the ExoMars program is to address the question of whether life has ever existed on Mars. The program comprises of two missions, and if everything goes as planned, the first mission will be launched later today. It consists of the Trace Gas Orbiter, and Schiaparelli, an entry, descent and landing demonstrator module. 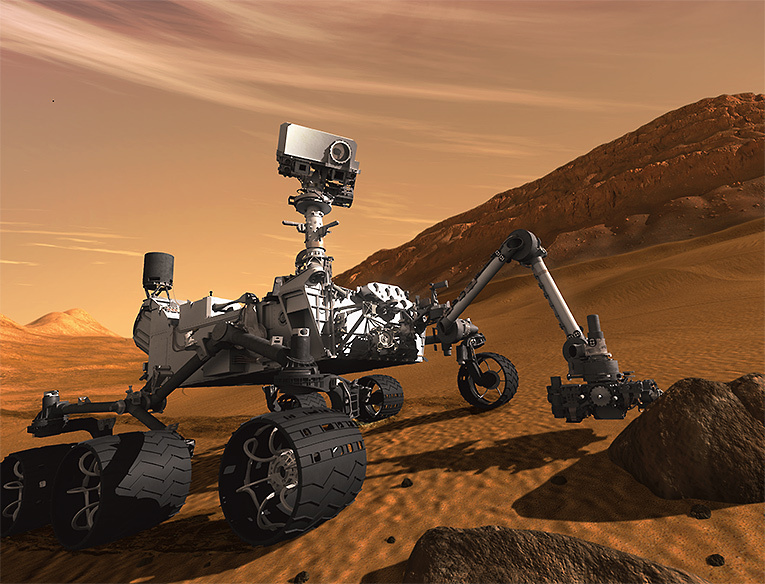 The second mission is planned for launch in 2018 and comprises a rover and surface science platform. Later today, 20 January, it’s time for ESA’s spacecraft Rosetta to wake up from a 31 months long deep space sleep. 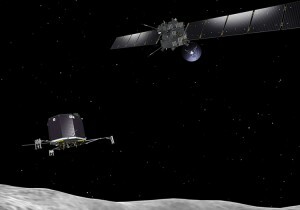 The on-board computer on the Rosetta spacecraft is programmed to re-establish contact with Earth on 20 January, starting with an ‘alarm clock’ set at 10:00 GMT. At the end of last week, the latest weather satellite in Europe’s successful Meteosat second-generation project was launched with an Ariane 5 rocket. The launch was made from Europe’s Spaceport at the Guiana Space Centre in Kourou, French Guiana, at 21:36 GMT (23:36 CEST) on Thursday, 5 July. 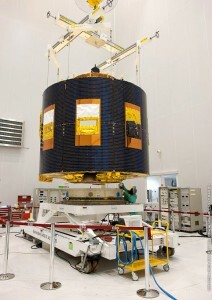 The satellite is currently being controlled from ESA’s European Space Operations Centre, in Darmstadt, Germany, and on the 15 July, ten days after launch, the MSG-3 will be handed over to the satellite’s owner, the European Organisation for the Exploitation of Meteorological Satellites, EUMETSAT, to commission the payload, once all initial operations are completed. This morning NASA’s Nuclear Spectroscopic Telescope Array (NuSTAR) launched over the central Pacific Ocean at 9 a.m. PDT (noon EDT). It’s main objective is to unveil secrets of black holes using a unique set of eyes to see high-energy X-ray light from the cosmos. A global science and engineering project named The Square Kilometre Array, has been in intense political negotiations since the project was first introduced. 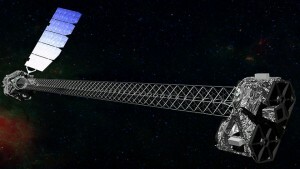 The project intends to build the world’s largest radio telescope, with it’s main objective set to answer big questions about the universe, such as how the first elements heavier than helium was formed and how the first galaxies coalesced. The project is led by the SKA Organisation, a not-for-profit company with its headquarters in Manchester, UK. At first a scientific panel recommended South Africa over Australia as the best site for the proposed Square Kilometre Array (SKA). 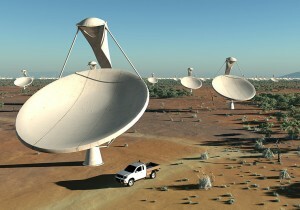 However in the latest plans announced on May 25, South Africa and Australia will share the Square Kilometre Array. The project is made up of 3,000 dishes, 15 meters in diameter, and an even larger number of simple antennas and will cost approximately $1,9 billion ( €1,5 billion). Under the deal, South Africa will host the dishes, and Australia will get the antennas. Early this morning, at 3:44 a.m. Eastern, SpaceX Falcon 9 rocket, successfully launched from Cape Canaveral Air Force Station. On-board was the Dragon capsule heading for the International Space Station. During the journey the capsule will be subjected to a series of tests to determine, and prove to NASA, that the vehicle is ready to dock with the space station. 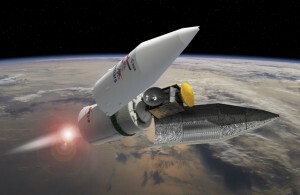 The mission makes Space Exploration Technologies (SpaceX) the first commercial company in history to attempt to send a spacecraft to the International Space Station. The launch today was flawless, and the vehicle’s first stage performed nominally before separating from the second stage. Shorty there after the second stage successfully delivered the Dragon spacecraft into it’s intended orbit. If required tests are successful, and NASA decides that the Dragon capsule is allowed to approach it’s target, SpaceX will attempt to dock the capsule with the space station on May 25. SpaceX launch aborted just as engines started firing. SpaceX Falcon 9 rocket being checked after launch abort. The launch of SpaceX Falcon 9 rocket this morning was unfortunately aborted at 4:55am EDT, just a few seconds after it’s nine Merlin engines started up. The internal computers monitors the engines closely during launch, and it found a parameter that was out of bounds on one of the engines. This lead to an immediate cut off of all engines for safety reasons. With a narrow launch window of just one second, a new launch is preliminary set for Tuesday 22 May at 3:44am EDT (07:44am UTC), but this could be subject to change. 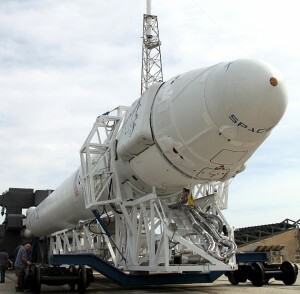 Dragon spacecraft and Falcon 9 rocket on it's way to the launch pad. Photo © SpaceX. The first ever launch of a private vehicle heading for the International Space Station (ISS) is set to launch early morning of May 19. The launch has been pushed back several times, but after a successful launch rehearsal April 30 by the SpaceX launch team, the Falcon 9 rocket is finally ready for take off. The launch is planned for 4:55am EDT (08:55am UTC) and NASA will have live coverage of the event available via NASA TV. 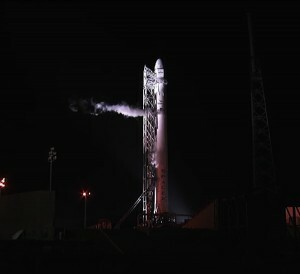 It will also be available via SpaceX Webcast. 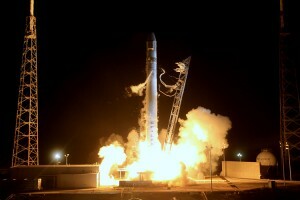 The mission was originally intended to include only the launch of the Falcon 9 rocket, and tests of the Dragon capsule in orbit. It now also include plans for the Dragon capsule to physically connect to the Space station and deliver supplies such as food, clothing and batteries as well. The journey will also give both SpaceX and NASA the chance to test out the capsule’s sensors and control systems as it approaches the International Space Station, collecting information that can be vital for future missions.